Digiday reports on how The New York Times’ T Brand Studio which was born two years ago to assist clients in the creation of native advertising (sponsored ads and content that look like actual stories in NYT) is now expanding into a full fledged agency. T Brand Studio will now assist clients in the creation of multi-media, stories and content that can be placed in publications beyond The New York Times. In pitching its new services, the Times will be competing not just with established agencies, but other publishers that are also producing content for clients such as Atlantic Media Strategies, started by Atlantic Media, publisher of news magazines such as the The National Journal. Ad Week rants about the many ways that businesses and brands can get in trouble posting on social media regarding the 2016 Olympic Games in Rio. For those businesses that are not official sponsors of the games like Coca-Cola, McDonald’s, Visa or P&G, posting on social media regarding the Olympic Games runs legal risks. The many restrictions issued by the United States Olympic Committee (USOC) include prohibition against non-sponsors using the Olympics’ trademarked words or phrases such as Olympic, Olympian, Team USA, Go for the Gold; using terms that reference the location of the Olympics, such as the Road to Rio; and using hashtags that include Olympics trademarks such as #TeamUSA or #Rio2016. Non-sponsors are also prohibited from sharing or retweeting content from official Olympics social media accounts. The Las Vegas Sun reports on how Las Vegas area governments and authorities such as the City of Las Vegas, Clark County and the Las Vegas Convention and Visitors Authority are turning to social media to modernize their communications and engage with citizens. The City of Las Vegas has a social media team of 4 staff members and is present on nine different social media channels including Facebook, Twitter, Instagram, Tumblr, YouTube, Snapchat, LinkedIn, Next Door and Google Plus to promote citizen engagement. Speaking of Snapchat, the Las Vegas Convention and Visitors Authority recently tapped hip hop star DJ Khaled to launch its new Snapchat account. The authority’s Snapchat launch generated more than 400,000 views and 25,000 engagements in a 48-hour period thanks to DJ Khaled. In Associations Now, Ernie Smith reviews a report by the Interactive Advertising Bureau that found that a quarter of all internet users already block ads, which is less than anticipated. The majority of users who block ads are adult males from 18 to 34. While ad blocking on desktop computers is at 26%, ad blocking on mobile devices is lower at 15%. The IAB has been focused on combating ad blocking over the years, and is recommending that advertisers promote lighter non-invasive ads. The study found that lighter non-invasive ads online encourage ad blockers to turn off their ad blocking software. One interesting note from the study: 40% of internet users believed that they had ad blocking software turned on, but many of the users confused anti-virus and pop-up blockers with ad blocking software. 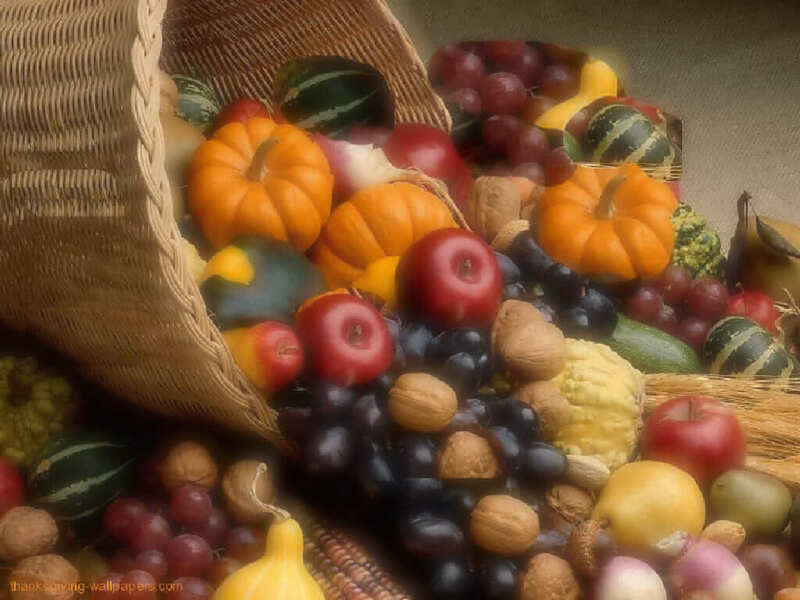 Happy Thanksgiving from Arc 3 Communications! As we celebrate the 3rd anniversary of our agency, it is good to reflect upon those things that I am thankful for. 1. I am thankful for our clients in the civic space that have entrusted us over the years to help with their content, digital marketing and social media needs. We have worked with clients ranging from government agencies to trade associations to political campaigns at the local, state and national levels. We have developed digital marketing and social media campaigns, new websites, content marketing plans and all types of amazing content to help them accomplish their legislative, policy, electoral and civic engagement goals. 2. I am thankful for the talented team of creatives, digital marketing, social media, technical and public affairs experts at Arc 3. I am also thankful for our interns that have breathed life into our agency with new ideas and enthusiasm for our mission. 3. I am thankful to our vendors who have become trusted partners in helping us to carry out our mission. These knowledgeable experts in accounting, the law, banking and technology are indispensable. 4. I am thankful to the awesome team at Strongbox West who provide us with an affordable, fun and innovative office space to work in that is filled with other startups in the creative, digital and technology space. The shared learning from other entrepreneurs has been immeasurable. 5. I am thankful to the many innovators in digital, social media and technology that have transformed marketing from a traditional marketing model to a world driven by content. This includes not only the creators of the well-known platforms such as WordPress, Facebook, Twitter, YouTube, LinkedIn and Tumblr; but the countless other innovators who developed lesser known digital and social media platforms that have helped to create a competitive marketplace that produces amazing channels for communication and sharing. 6. I am thankful to our agency competitors for new business in the content, digital marketing and civic space who by their efforts in the marketplace, push us to do better, innovate and strive to be our best. 7. I am thankful for the digital, social media, creative and start-up community of Atlanta in which we are constantly learning new things through shared knowledge and crowd sourced learning. I am most grateful to the Social Media Club of Atlanta, SouthWired (former Digital Atlanta) and the many Meetups around the city that are ongoing. 8. As Founder of an agency focused on the civic space, I am thankful for the many long-standing institutions in government, politics and civic life and the people and ideas that sustain them. The great civitas of our country depends upon engaged citizens, media, candidates, elected officials, trade association and non-profit executives and public servants in government at all levels. 9. I am thankful for the countless numbers of friends and former colleagues throughout my career in government and politics, academia and the agency world who have offered encouragement and referred business our way. 10. I am most thankful to my family for their constant love and support through my entrepreneurial journey. My family has shared this experience with me every step of the way. It is hard to express my gratitude and thanks to my four children and most especially my wife Mary. My wife’s selflessness, determination and love for me has been the rock upon which my success has been built. Finally, I am most thankful to God to whom all thanks must be given. Without his love and my faith in him, my entrepreneurial journey would have never gotten off the ground 3 years ago. What are you most thankful for this year? Please share with us! 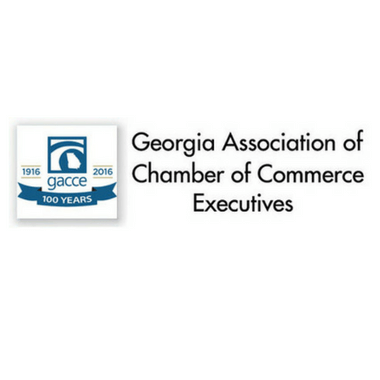 Arc 3 Communications recently conducted content marketing and social media continuing education programs for the Georgia Association of Chamber of Commerce Executives (GACCE) as a part of their fall regional road shows. 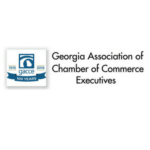 The programs were attended by hundreds of chamber of commerce executives from across the state of Georgia. The regional road shows were hosted by the Dublin-Laurens County Chamber of Commerce in Dublin; the Albany Area Chamber of Commerce in Albany; and the Cherokee County Chamber of Commerce in Canton. Arc 3 Founder Patrick Burns provided insights on what is content marketing and why it is important for a local chamber of commerce’s communications efforts. Participants were provided insights into how to incorporate a content marketing process inside their chamber of commerce and the fundamental elements for developing a content marketing plan for their organization. The Arc 3 Communications team also provided an overview of the major social media platforms in the categories of social networking and micro-blogging. Sessions on how a local chamber of commerce can utilize Facebook, LinkedIn, Google+, and Twitter for member engagement and other organizational goals were provided. The Arc 3 team also shared tips for creating a social media policy and utilizing social media management and measurement tools. The continuing education sessions on content marketing and social media stimulated conversation from among the local chamber of commerce executive attendees on the types of content and tactics that were engaging members and helping them to achieve their chamber’s goals in promoting events, economic development and policy initiatives, and tourism programs. Arc 3’s content marketing and social media training seminars are geared towards those in trade associations, public affairs and government and have been very valuable to communications professionals in the civic arena. 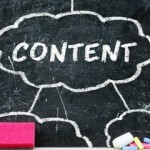 Content marketing and social media are changing everyday with new platform updates, tools, shifting audiences and techniques. Through our research, lab work and networking we keep up with the latest trends in content marketing and social media in the civic space. Want to talk about customized content marketing and social media training for your organization? Please contact Patrick Burns at pburns@arc3communications.com. The Cherokee County Board of Commissioners is the local governing body of one of the fastest growing counties in Georgia and the Southeast. The county is home to one of the lowest tax rates and the highest SAT scores in the state. One of the fastest growth segments of Cherokee County’s population was an influx of the first wave of the millennial generation who were purchasing homes and building families. Increasingly, these millennials were turning to online and social media as a primary resource for news about local issues and events. The county felt that their traditional marketing efforts were not reaching and informing this audience. In addition, county leaders were becoming increasing concerned about the county’s digital and social media presence online and the impact that it may have been having in the economic development competition with other local communities across the country in attracting new businesses and large employers to the county. Arc 3 Communications worked with Cherokee County Board of Commissioners to develop a plan for creating content for their website and social media networks to educate and inform stakeholders, constituents, businesses and c-level executives. Through the development of a content marketing plan which included an identification of key messages, audiences and content buckets, the county was able to launch a new website and social media program that reached key audiences. Training was provided to county department heads and staff on key social media channels and tactics; content tips and the content marketing ideation process. Cherokee County’s new content marketing and social media program has resulted in a 53% increase in fans on Facebook; 241% increase in followers on Twitter; and 40% follower growth on LinkedIn. 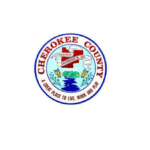 Cherokee County has also established a strong presence on Instagram in anticipation of the visual growth in social media. 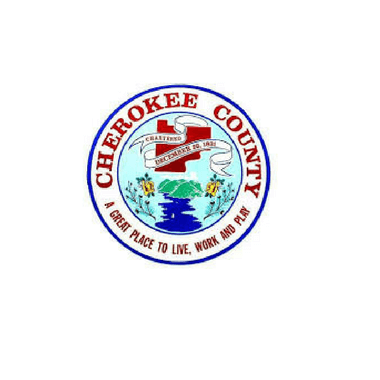 Cherokee County has seen its Klout Score, a measure of social media influence, increase by 300%. However, a successful content marketing and social media campaign is not just measured by the number of likes and followers. More importantly Cherokee County has seen an increase in citizen engagement and civic reporting, greater citizen awareness about their local government, and more economic development leads. Cherokee County was just recently awarded the location to the county of Inalfa Roof Systems, an economic development win that was recognized by Governor Nathan Deal and the Georgia Economic Developers Association as the “Deal of the Year” for 2013. Thank you to our clients, friends and colleagues who have helped to make Arc 3’s 2nd year a great success. We set out to do ambitious and interesting work in 2013, and our clients have entrusted us to do just that. Over the last year, we have done innovative work in the area of content marketing, digital and social media for clients in the political, public affairs and government space. It has been our passion to help trade associations, right-center campaigns and local and state governments evolve their communications and marketing strategies to fit the digital age. Content and measurable data are both important to us. Arc 3 has helped clients to develop and implement effective strategies and campaigns that help them to achieve their organizational goals in a complex media and public affairs landscape. Content marketing and digital and social media only work if they help an organization to reach those real world objectives that result in a return on their investment. The golden age of mass media communications through print, television and radio has begun to fade, and a new multi-platform and digital age has begun. The digital age has resulted in new ways in which people – especially millenials – are processing issue and policy information. 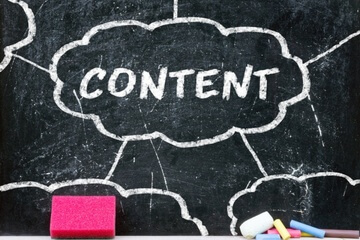 Over the last several years, businesses have been going through a transition from traditional marketing to content marketing out of necessity in order to reach consumers. Our civic institutions, campaigns and trade associations will have to change as well in order to sustain their key roles in the public square. As our agency grows and evolves in the dynamic landscape in media and public affairs, we look forward to another year of fun, interesting and purposeful work. With the introduction of hashtags and graph search by Facebook, hashtags have grown in their effectiveness as an advocacy and mobilization tool. Hashtags have long been an effective tool on Twitter, helping to organize people by shared interest. Facebook, which has organized people by shared connection, had an inability to mobilize people by shared interest. With hashtags, Facebook allows users the ability to connect by interest in an expansive way. With over 1 billion users, Facebook has a dynamic network in which a campaign or organization can utilize hashtags to reach extended, adjacent and far-off networks of people with similar interests. Once only great to organize people online and offline after you make a connection, Facebook with hashtags is an effective tool in organizing people of a shared interest, value or belief who are not yet socially connected. Here are some tips for incorporating hashtags into Facebook page posts to promote your political content and connect with those of a shared interest. 1) Ideology: One of the easiest ways to promote your organization’s content is to reach those of a like ideological mind. The most popular ideology hashtags are #tcot, ‘top conservatives on twitter” and #p2, “progressives who prioritize diversity and empowerment” and #tlot, “top libertarians on twitter”. 2) Party affiliation: Although there is a close correlation between ideology and party identification, in order to ensure that you reach all of those with a shared party affiliation, include a reference to your local, state or national party. The most popular hashtags are those associated with the respective state parties. For example in Georgia, the Republican Party hashtag is #gagop and the Democratic Party hashtag is #gadems. 3) Issue: In the promotion of a issue or policy, utilization of a hashtag to build support for the issue is an effective tool. Providing quality insights and updates on timely issues is a way to build supporters and followers. The Google QDF rule (quality deserves freshness) applies to search on social media networks by hashtag. People hunger for meaningful content on timely issues and will search to find it. For example, #Syria, is one of the most popular hashtags on social media, due to it being a timely and relevant issue as the U.S. considers military intervention there. 4) Location: Geolocation is critical in social media. As social, location and mobile merge together, the ability to connect with those in your immediate vicinity is important in the promotion of a post. Placing a hashtag that indicates your location can not only build credibility in your posts, but can draw the interest of those in your local area. People hunger for local news around them, and the power of connecting with people in your local area on social media cannot be underestimated. For example, state and local specific hashtags such as #gapol and #atl ensure that you are reaching people in your local area. If you are attending a place, event or conference see if there are hashtags that have been developed for that specific site. For example, at the national party conventions last year, #gop2012 and #dnc2012 were the respective hashtags for these events. 5) Social TV: There is a strong correlation between live television and social media. People love to share insights on TV programs on their 2nd screen and watch alongside others online to see their feedback. During last year, some of Twitter’s most trafficked moments occurred during the Presidential debates between President Obama and Governor Romney that aired on live TV. Utilizing hashtags for specific events that air on television is way to connect with followers and audiences and promote your posts. During the first Presidential debate, the Obama-Biden campaign utilized #ForwardNotBack effectively in promoting their candidate. 6) Look to the Past: History and sentimentality about the past is a fundamental part of the human experience. People love to remember and are drawn to content that reminds them of the “way things were”. Our civic institutions and political parties have a rich history in which content can be pulled. One of the fundamental parts of being a candidate is telling your biography and life experience. Utilizing a hashtag such as #TBT (Throwback Thursday) or #FBF (Flashback Friday) can be very effective in gaining followers as they are some of the most popular hashtags on social media. 7) Humor: Humor disarms and is a powerful weapon to articulate a point of view to someone who may or may not agree with you. Use of humorous hashtags can enlist followers and supporters for your cause in more subtle way. For example in the 2012 Presidential election, the Obama campaign utilized the #Romnesia hashtag to describe Governor Romney’s inconsistent policy stances over the years. Many hashtags or slogans that are started in earnest by a campaign or group can become hijacked by the opposite side who use the hashtags in a humorous way. In the 2012 campaign, the Obama-Biden team had put out the hashtag #forward, a key campaign slogan. The RNC quickly utilized the #forward hashtag to describe moving “forward” to $491 billion in higher taxes for Obamacare; deficits over $1 trillion; and $1.9 trillion in higher taxes. With the continued integration of search and social, hashtags are becoming an increasingly important part of content and social advertising strategies for Facebook. The use of hashtags can connect your organization in a timely manner with the audience you are trying to reach and promote your content. So don’t forget the #hashtag in your next post. Storify is a powerful tool for content curation. In today’s digital age of social media and mobile devices, everyone is now a content producer as the 24 hour news cycle yearns for instant reporting of news events. Storify is a platform upon which individuals can aggregate tweets, posts, photographs, videos and links from social media including Facebook, Twitter, Instagram, YouTube, Pinterest, Google+, Reddit and Flicker to create powerful stories on any subject matter. Storify creates a new layer above the social networks that helps users create a coherent story that is interactive and dynamic. Started in 2009 in San Fransico, Ca. by founders Burt Herman and Xaxier Damman, Storify currently has well over a million and half individual users. News media outlets from the Wall Street Journal to ABC News have reporters and editors that are using Storify to curate content from the social web. Presidential candidates Mitt Romney and Barack Obama also utilize Storify in their campaign efforts. Team Romney has created 145 stories while President Obama’s campaign has created 78 stories on Storify. The Romney campaign was able to obtain over 38,000 views of a Storify story regarding a bus tour that coincided with Romney’s announcement of Paul Ryan as his pick for Vice President. President Obama’s campaign used Storify to highlight First Lady Michelle Obama’s trip to the Olympics in London to draw attention to her visit. Our founder and President of Arc 3 Communications, Patrick Burns recently used Storify to curate content from social media to tell the story of his experience as a Delegate from Ga. to the Republican National Convention in Tampa, Fla. Patrick was able to use Storify’s bookmarklet to drag and drop status updates, photos and videos from Twitter, Facebook, Foursquare, YouTube and Instagram to bring together the social media elements that best illustrated his experience as a Delegate in Tampa. Storify not only allowed for the collection of elements from social media, but also allowed for the writing of a headline, introduction and text inside his story. As one who utilized social media and pitched traditional media at the convention, Storify was an excellent vehicle to assist Patrick in pulling together all the elements of his trip and better communicate his experience. Upon completion of his story, Storify also allowed Patrick to share his story with his social networks, and notify all the people quoted in his story such as comedian, Dennis Miller; RNC Chairman, Reince Preibus; Mitt Romney; Chris “The Fix” Cillizza of the Washington Post, Erik Erickson of Red State.com and Timothy Carney of the Washington Examiner. Storify’s platform also allows readers to interact with the social media elements of Patrick’s story and share it with their followers. Below is a link to Patrick’s story in Storify regarding his experience as a Delegate as told via the many social media networks that were prevalent at the RNC Convention.